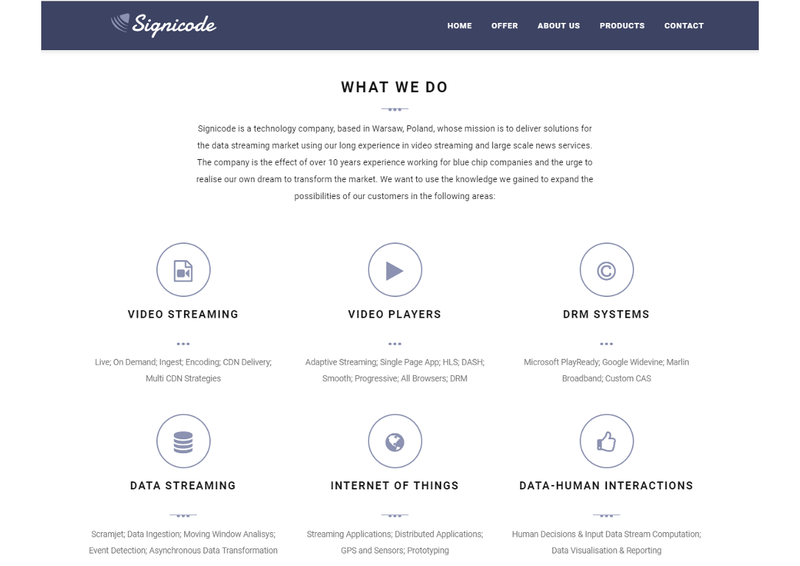 A technology company, based in Warsaw, Poland. 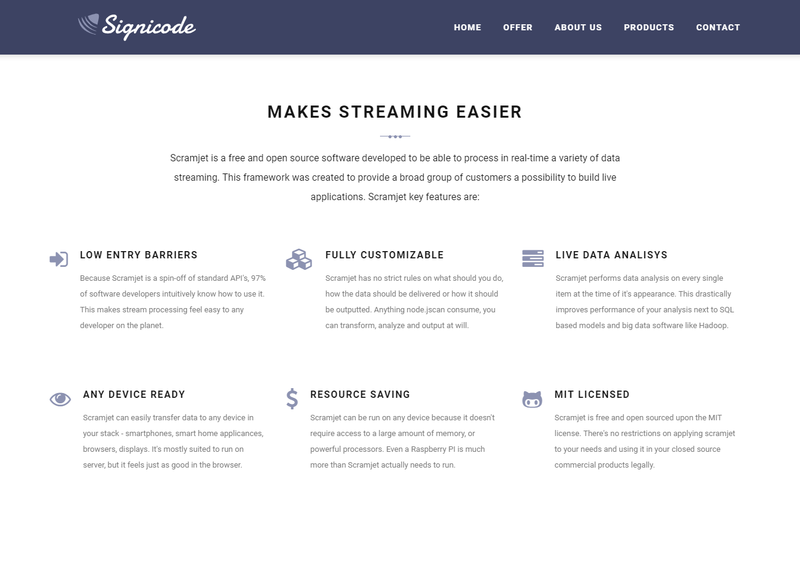 Signiocode mission is to deliver solutions for the data streaming market using our long experience in streaming. 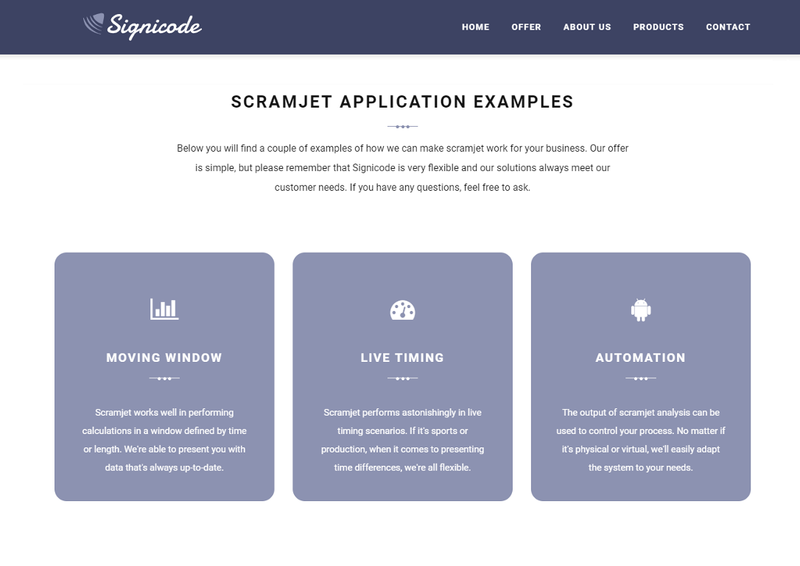 The company is the effect of over 10 years experience working for blue chip companies and the urge to realise our own dream to transform the market. 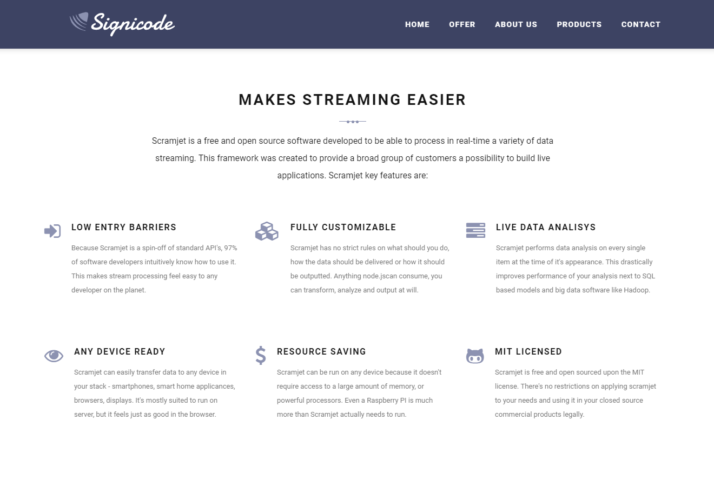 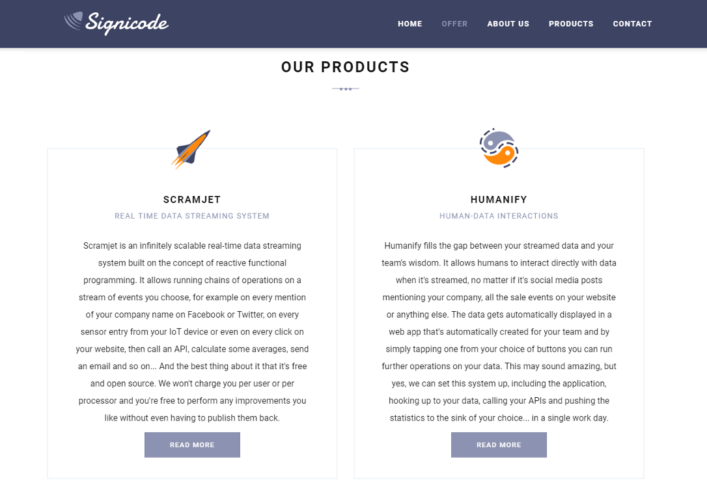 Signicode offers services like: data streaming, IoT, Data – human interactions and consulting for: video streaming, video players, DRM systems. 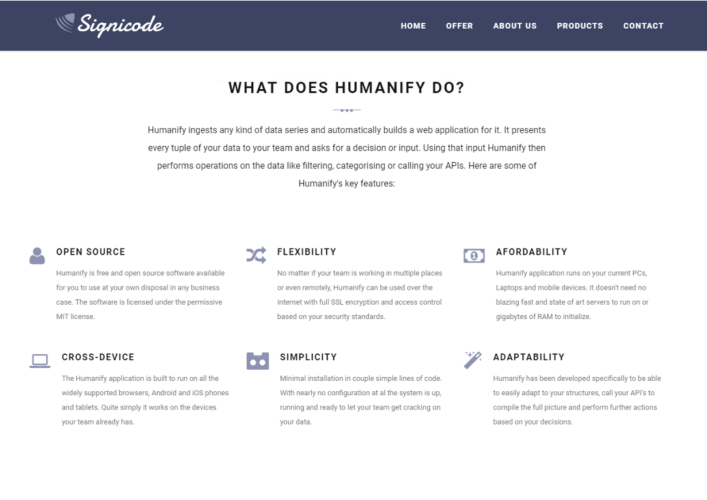 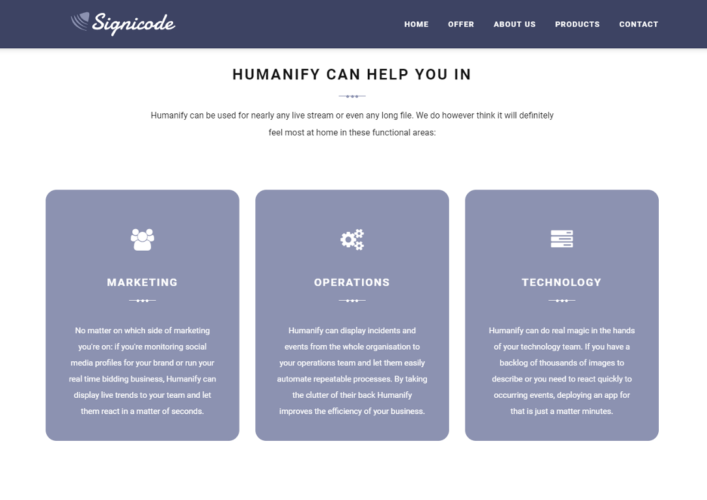 – Humanify a free and open source server and web application, written in Node.js, that allows adding human intelligence to data streaming in scenarios where computers are not suitable to make. Signiroad provides business consulting services to signicode.